Join Sea Shepherd Australia, Sydney Chapter and other marine conservations groups to celebrate World Whale Day at Mona Vale Surf Club – Mona Vale Beach, Sydney – upstairs in clubhouse. February 14th, 2015 marks not only Valentine’s Day but also World Whale Day, when the giants of the ocean are celebrated and people aim to raise awareness of their lives, different kinds and the world they live in. 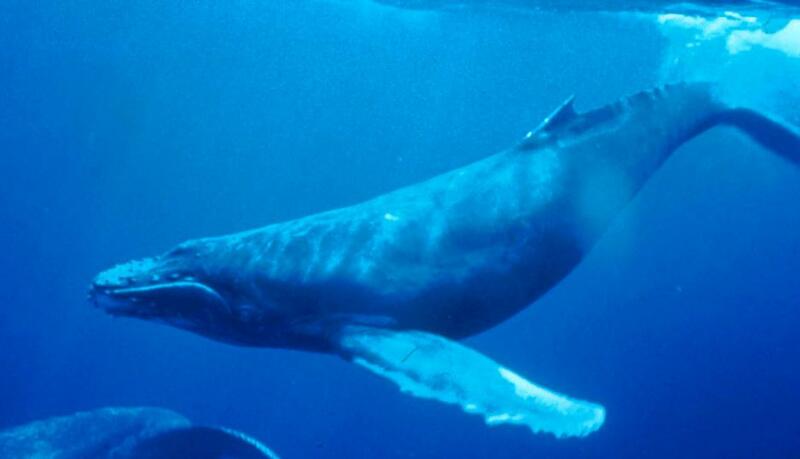 The annual holiday was founded in Maui, Hawaii, in 1980, to honour humpback whales, which swim off its coast. It’s the main showcase of the Maui Whale Festival, so this year they will be celebrating their 25th Annual World Whale Day. The day prior to this is World Love for Dolphins Day- a day nominated by Sea Shepherd to honour and celebrate these highly intelligent cetaceans, who, like us, live in family groups. Earlier this week we spoke with Pittwater lady Jools Farrell, a long time Sea Shepherd Australia onshore, Sydney Chapter Coordinator and offshore crew member to get a few insights on what is happening at this year’s World Whale Day celebrations in Pittwater. What’s involved in this year’s World Whale Day in Pittwater? World Whale Day is on Saturday February 14th this year, which is also coincidentally Valentines Day. Sea Shepherd’s Sydney Chapter are putting on a fantastic day for the whales and hoping to spread the love for whales at our Mona Vale event. There will be other Marine conservation groups joining us, such as the excellent Living Ocean, the Two Hands Project, ORCCA, the Whale Spotter, David Jenkins, who is extremely knowledgeable about whales, Pittwater Council’s Natural Environment & Education and more. We will also be doing our bit for 'World Love For Dolphins Day' by taking a photo with as many people as possible holding up signs for the dolphins! Will there be any activities? It’s a day to raise awareness for the whales and has a focus on education. We’re hoping to build a whale’s tail in the sand, weather permitting, which will be an opportunity for hands on family fun while learning more about our whales. We will also have some screens up and will be showing some Sea Shepherd films on these which will give visitors an insight into the wide range of activities we are involved in in all oceans of the world. Sea Shepherd will have a merchandise/awareness stall there where there will be a great variety of Sea Shepherd clothing, support patches, even a refillable drink bottle available. People may not realise running the many campaigns the Sea Shepherd Australia does, as part of its South Ocean campaign, have costs that aren’t obvious. Currently we’re in the midst of Operation Icefish, trying to prevent illegal poaching of Patagonian Toothfish and netting in Antarctic waters, which is devastating not only to the species of fish being hunted by these poachers, but also to any marine life that gets entangled in their nets even if not targeted species. The cost for one week of fuel in pursuing these poachers amounts to $25, 000. Sea Shepherd does not get any grants or subsidies from the Australian Government to do this work and these patrols. Our work is supported 100% by the public through donations, attending events and buying merchandise. The day prior to February 14th is World Love for Dolphins Day so we’re incorporating that and trying to get as many people as possible to join us in holding up signs with the ‘World Love for Dolphins Day’. Most people are aware of what is going on in Taiji, Japan at present – the slaughter of dolphins is just horrific. Where did this love of whales and dolphins begin for you Jools? I’ve always been drawn to the ocean since I was a young child. When I became involved with Sea Shepherd Australia, seeing the whales migrating up and down our coastline, the Minkes appealed to me especially. Some have been tagged and it has been noticed they have disappeared, most probably taken by the whaling fleet, which is a very sad indication of what is occurring. Whales are the doctors of the ocean; their faecal matter is vital to the ocean health, it actually goes to the surface of the sea and there assist fish populations as this nutrient rich faecal matter feeds phytoplankton (plants) which allow the plant to grow and prosper. As the phytoplankton grows it pulls more and more carbon dioxide from the atmosphere cleaning up the environment and creating a healthier ecosystem for both land and oceanic animals. This is why I call them the ‘doctors of the ocean’. Many of our whale species are now endangered due to whaling, ship strikes and also seismic blasting. To try and save them, not just for us but for the next generation, has become a primary concern for me. It will be a very sad day if those now growing up don’t get to see what we have seen – whales migrating up our coastline, it’s just awesome. When on campaigns we see them down in Antarctica, in their natural environment, it’s breathtaking. Whales are gentle beautiful creatures and there is no need to hunt or kill them. 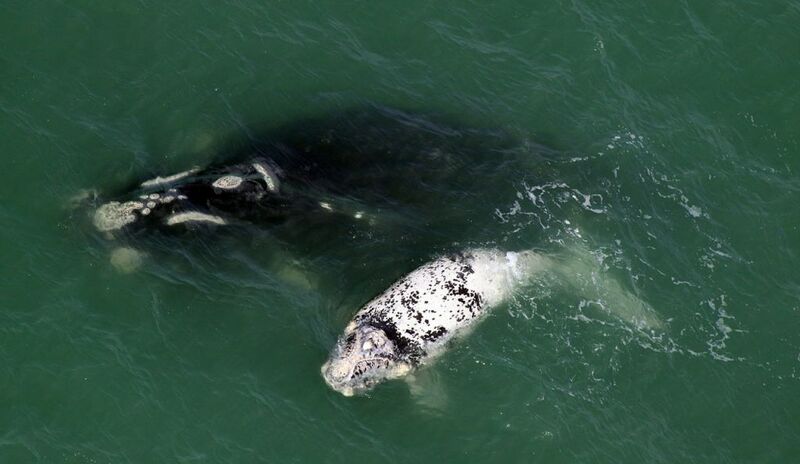 Their intelligence is documented more and more, without killing them, and when one member of a travelling family group dies, they are mourned by the rest of that family – a mother will mourn the loss of her calf. They talk to each other and studies are showing each has an individual voice, just as more recent studies are showing the fluke, or tail, of each is individual too. People now know that the whaling fleet that hunts in Antarctica is not doing it for scientific research but are in fact commercially whaling in a whale sanctuary. Whales being harpooned is a tragic experience that has no place in our world any longer. How can people create a shift, without being hypocrites if they consume meat themselves, to make people want to stop hunting and killing whales? If people become aware that much of the hunting of whales was introduced post World War II by Douglas MacArthur as a means of Japanese people providing food for themselves during a time of scarcity they can recognise this is a practice no longer necessary. We’re not against Japanese people, I like you have Japanese friends, we have Japanese crew members aboard our fleet. It is the whaling fleet, the fishermen supplying unwanted product to a diminishing market and the government of Japan itself that needs to cease perpetuating a requirement to do this. There is no need to kill whales for research purposes. A scientist recently came up with a method to find out the age of a whale by simply taking a DNA sample. There have been several such studies. Unfortunately the whaling fleet are currently redesigning their scientific research program and have announced they intend to return to Antarctica and intend to take 333 Minke whales. We’ll be going back again this year (2015) to try and save as many whales as we can. Fortunately, and fortuitously, we are getting a brand new ship built for us. The Dutch people have a lottery which donates to different charities. We were given 8.3 million Euros and as we speak we’re having a brand new ship built for Sea Shepherd Global. It will be fast, which is what we need, one that is faster than the harpoon ships. This will be the first time we’ve ever had a brand new ship – all our ships have been second hand and older vessels. We badly need this fourth ship so it’s wonderful news. So in order for people to Love Whales they should attend World Whale Day this year and contribute towards what will be needed by years end? Yes. Every time someone buys a t-shirt or even a sticker, that money goes into our Southern Ocean campaign. Sea Shepherd Australia has to raise in excess of four million dollars every year to send our ships to Antarctica. If we don’t raise those funds we can’t send our vessels down. It will be very bad if we cannot do this as we’re the only ones who do this and we do rely on donations and support from everyone. This year the day will be held inside the clubhouse, so even if it’s torrential rain like it was last year, we do hope people will visit and if we do have sun, we’ll be able to do our outdoor activities as well. The Whale Spotter website has been created to provide the general public with information about whale species, conservation, whale watching and science across Oceania. If your interested in seeing regular updates and photos please see the website blog or follow us on Facebook. Age is a fundamental aspect of animal ecology, but is difficult to determine in many species. Humpback whales exemplify this as they have a lifespan comparable to humans, mature sexually as early as 4 years and have no reliable visual age indicators after their first year. Current methods for estimating humpback age cannot be applied to all individuals and populations. Assays for human age have recently been developed based on age-induced changes in DNA methylation of specific genes. We used information on age-associated DNA methylation in human and mouse genes to identify homologous gene regions in humpbacks. Humpback skin samples were obtained from individuals with a known year of birth and employed to calibrate relationships between cytosine methylation and age. Seven of 37 cytosines assayed for methylation level in humpback skin had significant age-related profiles. The three most age-informative cytosine markers were selected for a humpback epigenetic age assay. The assay has an R2 of 0.787 (P = 3.04e−16) and predicts age from skin samples with a standard deviation of 2.991 years. The epigenetic method correctly determined which of parent–offspring pairs is the parent in more than 93% of cases. To demonstrate the potential of this technique, we constructed the first modern age profile of humpback whales off eastern Australia and compared the results to population structure 5 decades earlier. This is the first epigenetic age estimation method for a wild animal species and the approach we took for developing it can be applied to many other nonmodel organisms. The Southern Ocean Whale Sanctuary is an area of 50 million square kilometres surrounding the continent of Antarctica where the International Whaling Commission (IWC) has banned all types of commercial whaling. To date, the IWC has designated two such sanctuaries, the other being the Indian Ocean Whale Sanctuary. The northern boundary of the sanctuary follows the 40°S parallel of latitude except in the Indian Ocean sector where it joins the southern boundary of the Indian Ocean Whale Sanctuary at 55°S, and around South America and into the South Pacific where the boundary is at 60°S. Dissostichus eleginoides, the Patagonian toothfish, is a species of cod icefish found in cold waters (1–4 °C or 34–39 °F) between depths of 45 m (148 ft) and 3,850 m (12,631 ft) in the southern Atlantic, Pacific and Indian Oceans and Southern Ocean on seamounts and continental shelves around most sub-Antarctic islands. A close relative, the Antarctic toothfish (Dissostichus mawsoni), is found farther south around the edges of the Antarctic shelf; and a Marine Stewardship Council (MSC) certified fishery is active in the Ross Sea. The average weight of a commercially caught Patagonian toothfish is 7–10 kg (15–22 lb), depending on the fishery, with large adults occasionally exceeding 100 kilograms (220 lb). They are thought to live up to fifty years and to reach a length up to 2.3 m (7.5 ft). Several commercial fisheries exist for Patagonian toothfish which are detailed below. In the late 1990s to early 2000s, illegal, unreported and unregulated fishing (IUU) for toothfish nearly collapsed some fisheries in the Southern Ocean. Though, since 2005, thanks to CCAMLR Member nations, government patrol vessels, NGOs, media exposure and a trade and port state measures, IUU fishing has been all but eliminated from within countries' exclusive economic zones, though a relatively small portion of IUU fishing still occurs in high seas areas. At the peak of IUU fishing, illegal catches were estimated to be 32,000 tonnes in 1997 with approximately 55 vessels believed to be active. By 2010, IUU catches had fallen to an estimated 1,615 tonnes, all taken in high seas areas, with just four IUU fishing vessels reported to be active. This is a decrease in IUU fishing by over 95% since the mid 1990s. CCAMLR estimates that 90% of IUU catches are now of Antarctic Toothfish, not Patagonian Toothfish. In the past, France sold some fishing rights to Japanese and other foreign fisheries, but because of IUU fishing, rights are now reserved for French fishers based atRéunion Island. Because of previous poaching, the French Navy and Australian Customs vessels still work in tangent, patrolling both French and Australian EEZs, having made numerous arrests and seizures in the late 1990s to early 2000s. An Australian Customs vessel, the Southern Supporter, was involved in the renowned chase and apprehension of an IUU vessel in the 2003 Viarsa incident that stretched over 7,200 kilometers. Commercial fishing of toothfish is managed by the Commission for the Conservation of Antarctic Marine Living Resources (CCAMLR) inside the CCAMLR Convention Area which spans the Antarctic continent and waters between 45°S and 60°S. Some fisheries inside territorial waters within the Convention Area (e.g. Crozet Island, Prince Edwards and Marion Islands) are managed separately by countries with territorial waters taking CCAMLR management practices into account. Toothfish fisheries outside the CCAMLR Convention Area in the coastal waters of Argentina, Chile and Uruguay are managed by the relevant coastal state. However, these fisheries are still subject to the CCAMLR Catch Documentation Scheme (CDS) which tracks the trade of toothfish from the point of unloading to the point of final consumption. Limitations on release of offal overboard at the same time as the setting or hauling of lines (to avoid attracting seabirds when they may otherwise be vulnerable to the baits and hooks). In 2011 the CCAMLR Scientific Committee Chair, David Agnew, was quoted as saying “levels of seabird mortality are negligible in most areas”, with the one region yet to achieve these "near zero" results, having reduced seabird interactions by over 98% from their peak levels, and have continued to improve each year. Trawling generally catches toothfish in the smaller size range, which requires calculations to be made at the annual stock assessment meetings of CCAMLR to take these catches of smaller sized fish into account, and lowers the overall available catch of toothfish by trawl. CCAMLR has prohibited all trawl fishing in high seas waters and exploratory fisheries. The Catch Documentation Scheme (CDS) for Patagonian toothfish (Dissostichus eleginoides) and Antarctic toothfish (Dissostichus mawsoni) was one measure that ensured reductions in illegal fishing for toothfish and reduced the scope for trade in illegally caught fish. The CDS is an innovative online catch document information system (DCD: Dissostichus Catch Document) developed to identify legal toothfish harvested, which tracks toothfish from the point of landing throughout the trade cycle to point of sale. The CDS requires verification and authorisation by national authorities at regular intervals in the trade cycle. Identification of the origin of toothfish entering the ports and markets of CDS Parties is essential. by A J Guesdon, 2015.